Welcome to Name It! 's web site. This is where you will find details of our products and services. Name It! was set up to provide a service to the modelling world. 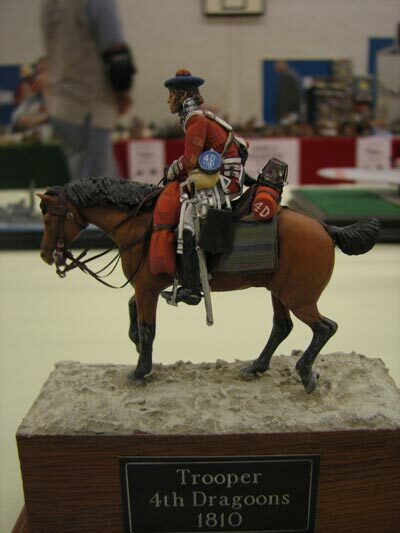 We are keen modellers, being actively involved in The British Model Soldier Society and attend shows not just as traders but also as competitors and demonstrators of modelling techniques. We hope you enjoy our site. Please select from these links to our other pages. We can now take a photograph or picture and recreate it on one of the shiny aluminium finishes (Our No. 3 Bright Gold, No.4 Bright Silver, No. 8 Bright Silver or No. 11 Bright Blue). We've shown it at a couple of shows (Euro and Telford) to test reactions, which were favourable and so will be launching it this year (2019). Watch this space! As a response to several customer's requests, we have extended our range of finishes. A new plastic finish, with a slightly glossy gold finish with black lettering. Requested by several WW1 and WW2 modellers that has a dull black/brown finish with silver lettering. Similar to our shiny Gold, Silver and Copper, this is with a Gloss Red finish to silver lettering. satin effect Blue and Red finishes with Silver writing. Please download the latest Euro Order form. Download word document template of sizes for you to cut out and keep.